Green, green, and more green. Maybe even a couple shamrocks… It’s March again, so that means Saint Patrick’s day is right around the corner. On the Sunday, March 17th, some people were sure to wear green so they didn’t be pinched. This is one of many traditions celebrated by people all around the world in honor of Saint Patrick’s Day. Student Laura Johnson says that her family loves the holiday. Celebrating begins from the moment they wake up. In the morning, they have a tradition of eating eggs and hashbrowns. When dinner comes around, almost all of the food is what one presume to be Irish. They feast on corned beef, stewed cabbage and soda bread. Laura stated, “I love the food and the fact I only get to eat it once a year makes it even better.” Her family also has a couple less traditional events that they partake in every year. One of which involves getting a shamrock shake from McDonalds. For some families, food is a large part of the holiday. For Ryanna Karstens, dance is the central activity. Ryanna is an Irish dancer and so, every Thursday you can find her in Northfield at the Division Street Dance Studio brushing up on her skills. She participates in soft shoe Irish dance, and through the years she has worked her way up to hard shoe Irish dancing. So, when Saint Patrick’s day rolls around she is excited to show off her skills. Her team practices for weeks leading up to the big performance. “When we have a big show coming up we have to go to Eden Prairie to practice with other teams.” says Ryanna. On March 17, at the St. Patrick’s Day Irish Celebration & Day Of Irish Dance, Ryanna and the rest of the members on her team danced on stage in front of crowds of people. Over two days, the festival shows off a variety of different traditional Irish vendors, food, music, and of course dancing. This festival marks yet another way people celebrate Saint Patrick’s Day. Younger kids love the holiday too. This year, Mrs. Hernke went up north to celebrate Saint Patrick’s day with her family. Aspiring to catch a leprechaun, her grandchildren built a leprechaun trap. The trap was complete with a popsicle stick ladder colored as a rainbow leading into a green plastic leprechaun hat where the trap lay. There were golden coins scattered around the base of the trap in hopes that a leprechaun would collect them and wander into the hat, serving as a trap. Inside of the trap there was a coin hanging from a string. The idea was that a leprechaun would reach for the coin, and when the coin was pulled the leprechaun would be trapped. When Saint Patrick’s day finally came around, the kids were led on a leprechaun hunt by a series of clues. At last the children finished the hunt and when they returned to check on their trap they found that all of the coins were gone. Unfortunately, no leprechauns were caught but, that didn’t make the day any less enjoyable. There was even a parade held in honor of Saint Patrick’s day that the whole family was able to enjoy. 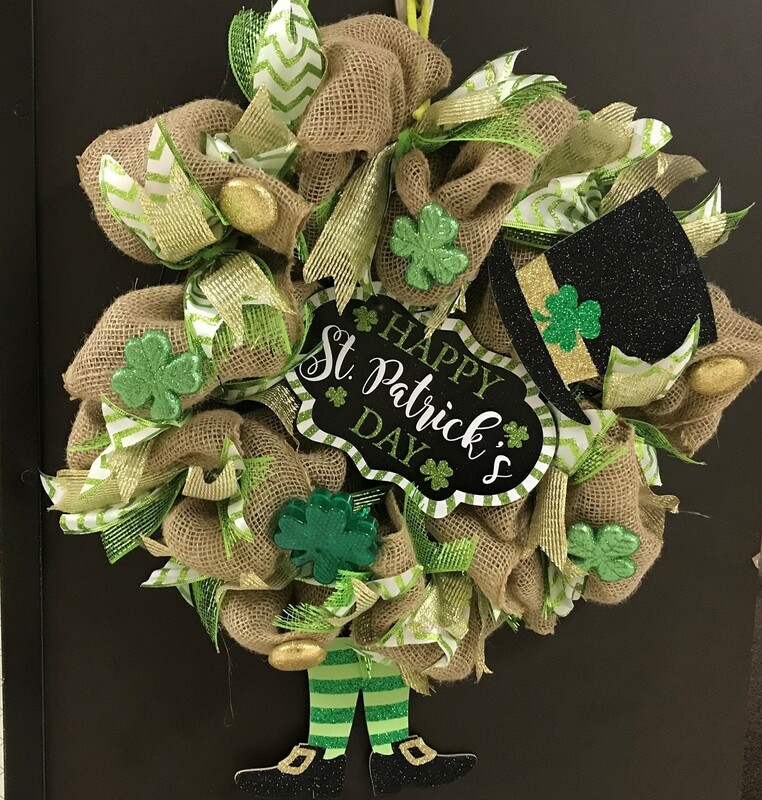 Holidays are special to many different people for many different reasons and though Saint Patrick’s day might not be a central holiday like Christmas or Easter, it is still very enjoyable in a variety of ways for people of all ages.